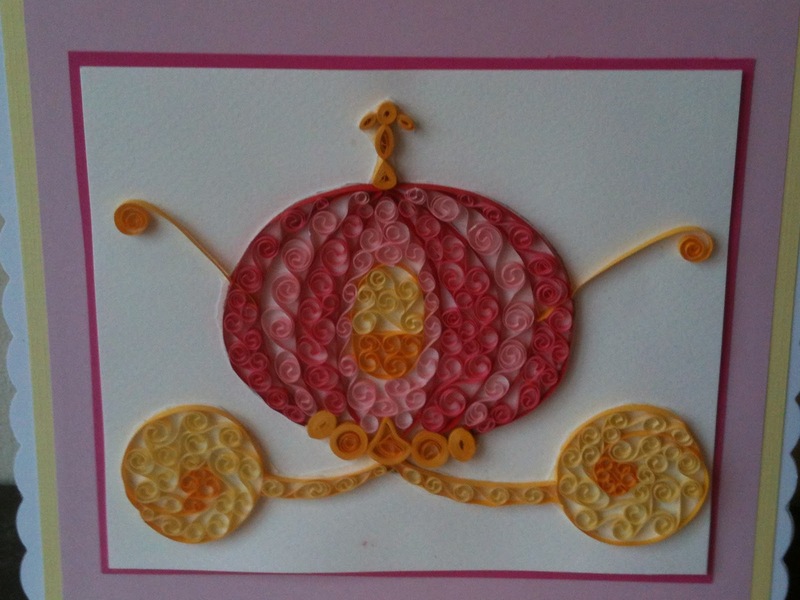 I got the idea of making this quilled carriage when I read about the latest challenge at cupcake craft challenge, which is 'Make a Scene'. I used watercolur paper so that it doesn't warp because of the glue. 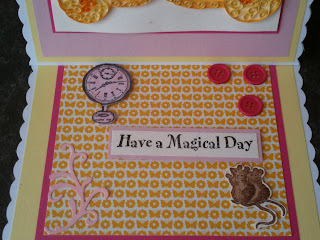 The stamps are from carfters companion ( fairy rose, two bad mice and papermania urban stamp clock ). 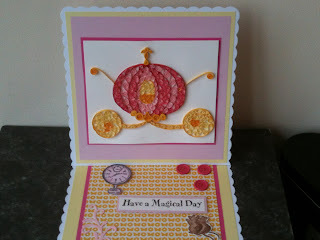 I am cheating here a bit ( or may be not :) I think this card will fit Stamping Sensations theme, which is ' Friendship'. Well, my interpretation of the card is: The mice are good friends of Cinderella. 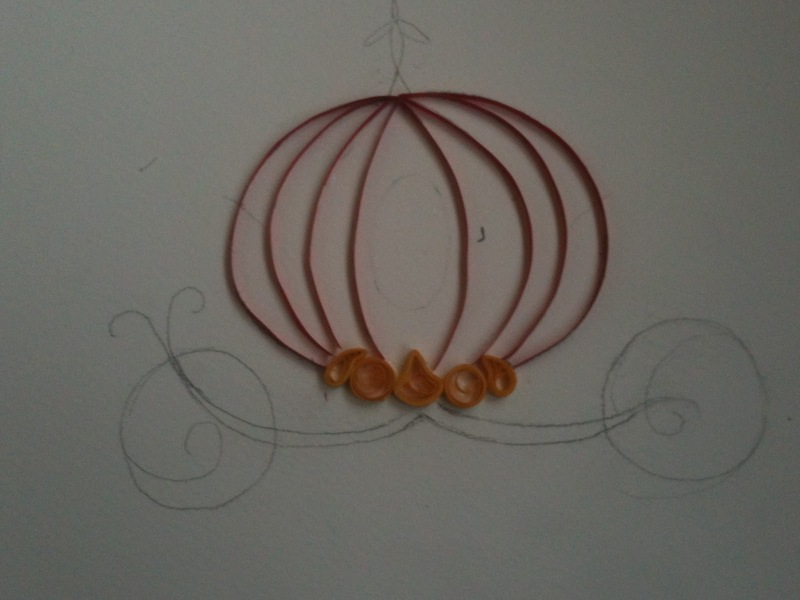 Fairy Godmother has already turned the pumpkin into a carriage.Now they are waiting for their turn to become horses and saying' Have a magical day (Cinderella)'. 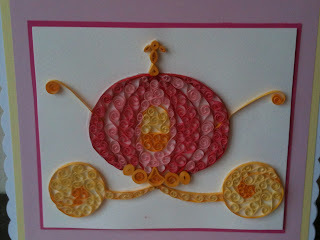 cute card, love your quilling !!! Lovely take on our challenge. 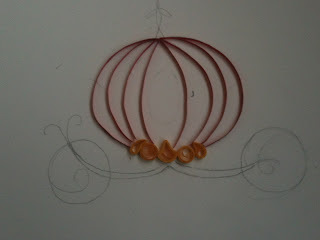 Love all that quilling! Thanks for joining us at Stamping Sensations. WOW this is amazing...my daughter is going to love it.She has to make a school project in class this coming Monday and she is making a chariot from a cocoa tin.Your creation is absolutely stunning!! A fabulous creation! 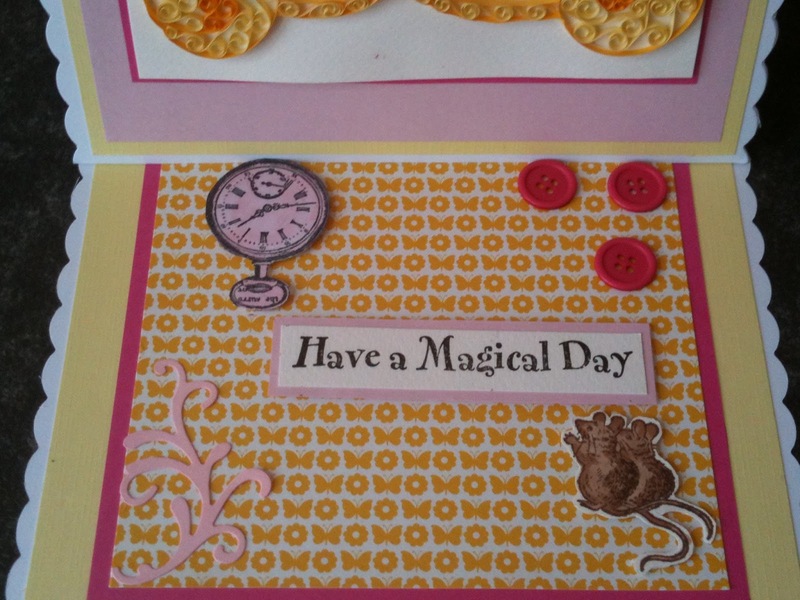 Thank you for joining in with our Friendship theme at Stamping Sensations challenge this month, and good luck! A super creation for our friendship theme Sheetal, I've never really mastered the art of quilling, but I'm always in awe of the lovely work of those who have. Thanks so much to sharing with us at Stamping Sensations challenge this month.